Update: There were 71 entries and Random.org selected #42 as the winner of this giveaway: Holly. Emailing you for addy, Holly. Check spam filter if you don't get it. Don't use matches or lighters to check for propane leaks. That is on the Safe Grilling Checklist from the folks at the Propane Education & Research Council (PERC), I'm not kidding. Sounds ridiculous right? Not really. My educational and professional background are in occupational safety and health. From experience, I can tell you for every seemingly ridiculous "safety rule" there is at least one Darwin Award candidate that actually caused the need to state the obvious. I promise you that someone has tried to use matches or lighters to check for propane leaks. This is prime grilling season for most people (of course my grill knows no season) and the folks at PERC are currently running a campaign to remind us that "Everyone Has A Hand In Safe Grilling". They have teamed up with the talented Chef John Besh and loaded their website up with an interactive safe grilling guide, tips for getting kids involved in grilling, a safe grilling checklist, and some recipes. Part of their campaign is sponsoring this give away. Up for grabs is an autographed copy of John Besh's My New Orleans - The Cookbook. This give away hurts, because I want to keep this one for myself. 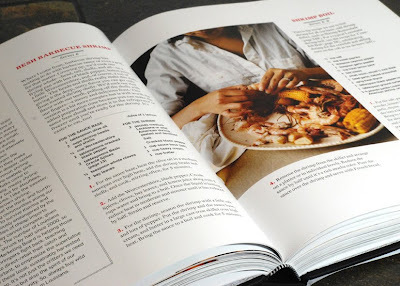 This is a hard-cover book with almost 400 pages of luring recipes, food tips, photographs, and stories. 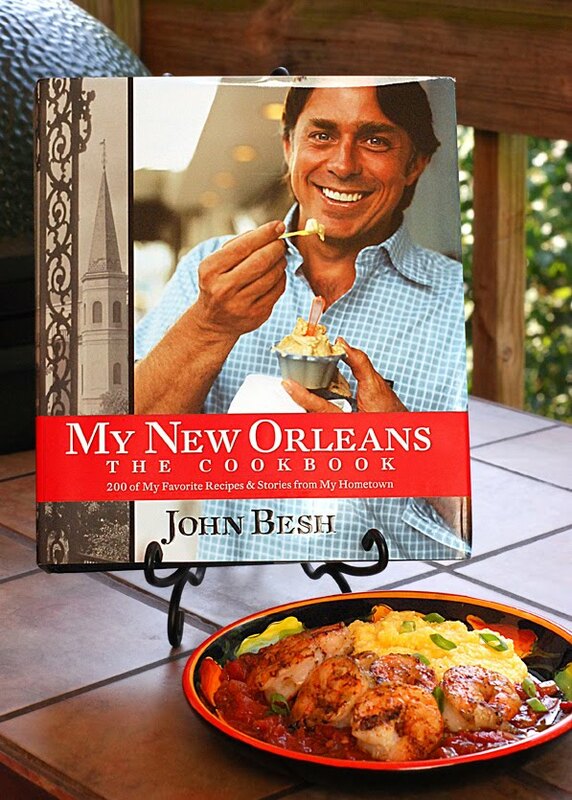 John Besh is an award winning chef, a highly successful restaurateur, a father of four and he pours all of that into this book. Pam of Pam's Midwest Kitchen Korner wrote a detailed review of My New Orleans this past Wednesday but she summed it up by calling it a "masterpiece". I couldn't agree more. One of the things I like about it is that it is good for someone who follows recipes step by step but it is also suited for someone who uses them for inspiration. 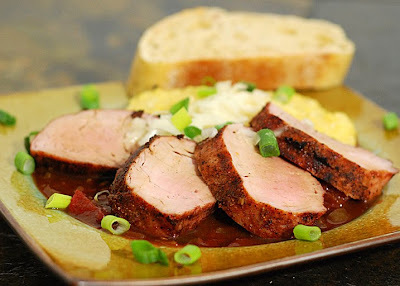 That whole pork tenderloin creole with grits that I made this week all came from Besh's Basic Creole Spices on page 13. I could go on and on about this book, but lets get down to brass tax. Here's the giveaway rules and how to enter. BONUS ENTRY: If you tell a brief story about a close call grilling accident or the most unsafe thing you have seen done on a grill, your entry will count twice in the drawing. Drawing will be held Sunday, July 4th at 12:30pm Eastern. Limited to Continental US unless you wish to pay the extra shipping charges. Oh yeah, one more thing. Don't use matches or lighters to check for propane links.